The neighbouring clubs contested Scottish League fixtures in the 1930s and will reignite their rivalry tomorrow in an East of Scotland Qualifying Section C fixture on the artificial pitch that borders Meadowbank Stadium. 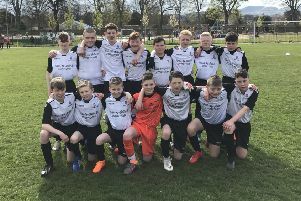 Leith Athletic may resemble the club of 80 years ago only in name, while the Hibs East Of Scotland team will be representative of the club’s youth players aiming to make the step up to first-team football. However, the fixture still holds no little resonance for those involved. “The Leith and Hibs fixture goes back in history, so it will be a special occasion tomorrow afternoon,” said Derek Riddel, now in his 14th season as a coach at Leith. Riddel will aim to instill an attacking ethos in his team for tomorrow’s encounter, citing such an approach as the most effective form of defence against a Hibs team he expects to prove strong. In Section C, Heriot-Watt University host Burntisland Shipyard at Riccarton, while in Section A, Civil Service Strollers welcome Kelso United and Lothian Thistle Hutchison Vale travel to Eyemouth United. The sole tie in Section B pits Ormiston against Duns, and Spartans’ EOS side entertain Easthouses Lily in Section D. Berwick Rangers’ EOS squad face Peebles Rovers tonight, also in Section D.